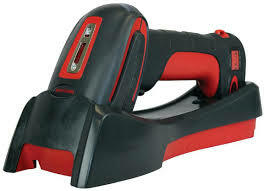 The Granit™ 1910i/1911i is an industrial analogue of Xenon 1900/1902 scanners. 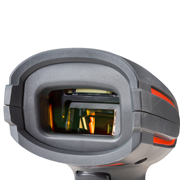 It features Adaptus 6.0 Imaging Technology, but unlike Xenon comes only in Extended Range (ER) version. However, its resolution on Data Matrix paper barcode is 7.5 mil (0.191 mm), so Granit 1910i/1911i can be successfully used for most DPM/Dot Peen applications (and certainly for Data Matrix Protection and Brand protection projects). Upgraded with DPM (Direct Part Marking) Plugin by 2DTG, Granit 1910i/1911i demonstrates strong DPM / Dot Peen performance on par with the industry leading specialized DPM scanners. In combination with its IP65 rating, DPM plugin makes it well suited not only for the consumer market, but for many industries, as well. In essence, it’s a DPM Reader for the fraction of DPM platform cost. 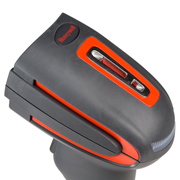 Granit scanners ship pre-configured in a few configurations, ensuring you only pay for the features/options you need. 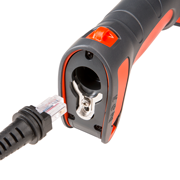 DPM Plugin or DMPS Plugin upgrades can be added (uploaded) to each configuration of the Granit 1910i/1911i scanners.